Your Retail Helper has teamed up with Chrissy from Becentsable to compile our best Back to School money saving tips. 1) Get your supply list early. Most School Districts release their School Supply List several weeks before school starts. Even if they don’t, you can look at the previous year’s list and get an idea of most of the supplies you’ll need. Stash that list in your purse or coupon binder and check them off as you go. Take an inventory of what each child has that will last through at least the first semester or that can be shifted around to siblings. Think about what articles of clothing will be needed for the school year ahead of time, including what items and how many of each you have. Take into consideration how busy your schedule is and how often you can do laundry in a given week. Your children will let you know what they want, but focus on what they need for now. Make a LIST for each child. If you have more than one child, remember you may not be splitting the budgeted amount equally among them. It will probably require more cash to outfit one child than another. Tell your older kids what the budget is so they won’t be surprised when you have to say no or when they have to put something back. This may even get them more involved in making the right decisions. 4) Use Cash. Did you know that people who use Credit Cards tend to spend 15% more per transaction than those that use Cash? Using cash helps you better keep track of how much you are spending. After you’ve set your Budget, put your designated cash in an envelope. This way, you won’t go over budget. 6) Recycle Supplies From Last Year. Not all School Supplies need to be brand new. 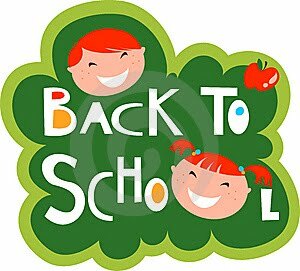 Have your child(ren) go through their old supplies and see what will work for the upcoming school year. Is their pencil box still in good shape? Do they really need a new backpack? What about that slightly used box of crayons? Not only will you save money, you’ll be teaching your child an invaluable lesson about being a good steward of what they have. 7) Buy Used. Not all school supplies, clothes or gear have to be new. Ask friends and families if they have left over supplies or clothes they’d like to sell/trade. Try Craigslist. You’d be surprised what you’ll find. Especially on sports gear. Shop Consignment Sales and Stores. There are great deals to be had. Check out ConsignmentMommies.com for a list of local sales. You can also score great prices at Garage Sales. However, be aware of your time and gas money. Selling your used or excess items can on Craigslist, at a Garage Sale or Consignment Sale can also be a great way to supplement your Back-to-School shopping. 8) Plan Ahead. A sure way to spend more than necessary on school supplies is to wait until the last minute. Retailers start back to school supply sales in July. By the time school starts, many of the best deals will be long gone and the selection will be limited. It’s especially important to start shopping ahead of time if your child has a specific request that you’d like to grant; that perfect backpack your daughter wants might be gone if you wait until the last minute to buy it. 9) Focus on the Most Expensive Items. For younger kids, the most expensive item needed might be a backpack while for older kids this item might be a scientific calculator. By focusing on getting the best deals on the most expensive item, you will maximize your savings. 10) Ask the Kids for their Wishlist. This might be a great time to share the budget and what you feel they need to fit in the budget. We don’t even need to pretend this process will go smoothly every year. Kids’ expectations are always a bit different than reality. The key is to work with them to figure out how to make the two lists mesh within the budget you’ve set. 11) It's Not Just About School Supplies. Adults needing office supplies should stock up now, too. July and August are usually the best time of year to find inexpensive paper for the printer, Kleenex and hand sanitizer. 12) Stock Up for the Year. Stock up on enough supplies for the entire school year while prices are rock bottom. If your budget allows, buy enough school and craft supplies to last the entire school year and summer. Stock up, even for next year, now. A lot of stores will have crazy deals on folders, notebooks, pens, etc. These are items your kids will need from year to year with little change, not to mention throughout the year. If you have the room, take advantage of the deal and save yourself time, and money, down the road by being ahead of the game. 13) Use Discounted Gift Cards. Check giftcards.com and Gift Card Bin for discounted gift cards to stores you plan to shop at. You can save money right off the top this way. CardAvenue is an auction site for gift cards. Recetly we found a $175 gift card to American Eagle for just $125; that’s 30% off! 14) Use Coupons. Some back to school items like tissues or hand sanitizer often have coupons that can be used in conjunction with a sale to get the best deal. Don’t forget, store coupons and can be stacked with manufacturers coupons! Check store websites and sign-up for e-mail clubs to get in-store coupons, online codes and online coupons. For a huge list of Store Coupons, check out our Retail Round Up. 15) Shop Online. Try on clothes at the store, write down what you like and see if you can find the style and size online with a coupon code for free or discounted shipping. If you do any shopping online, shop through Ebates to earn cash back on your purchase. They offer several coupon codes that you can use to save even more. Ebates is a great way to earn a little money back from your online purchases. All you have to do is sign up HERE. Then, when you are getting ready to place an order online, go to Ebates first and search for the website you’re ordering from. They have a huge list of websites that they work with! Just click the link to the website and place your order like normal. In a few weeks your account will be credited with cash back for a percentage of your purchase. 16) What's the final price? Calculate the final price in order to determine if the item is really a good deal. For example, crayons might be on sale at one store for $0.25 but on sale at a second store for buy one at $1.99, get two free. At first glance the second store may appear to have the better deal, but you would end up paying $1.99 for three boxes of crayons there instead of $0.75 at the first store. We post a Back-to-School Price Comparison List every week to help you determine the best price per product. 17) Store Incentive Programs. Become familiar with the incentive programs available at many retailers. Some stores offer rebates. At stores like Staples, you’ll pay for your purchases at the register, but you’ll get money back by mail when you submit your rebate for certain items. Staples and other stores like Walgreens also offer store coupons. Another incentive program retailers like CVS and Target offer is in the form of store credit. You’ll pay for your purchase in full at the register, but these stores often offer money off your next visit in the form of Extra Care Bucks at CVS and gift cards at Target. To maximize your savings, combine as many incentives as possible on one purchase. For example, you might be able to use a store coupon in conjunction with a manufacturer’s coupon, a rebate and/or store credit to cut your final cost significantly. 18) Price Match. Use all the hot back to school sales and Price Match at places like Wal-Mart and Target. This saves you time because you are not driving all around town to get the deals. Instead, the deals virtually come to you! For example, if one store has Markers on sale and another has Pens on sale, I would simply price match both these items at one store instead of going to two. I always have ads with me just in case they need them; however, the cashiers should have the ads. Most stores will price match any store within a specific radius. This policy varies by store location so check with your manager. Most stores will not price match a percentage off sale or buy one get one free offer. You need to match the exact item by brand and size. Wal-Mart: Here is their policy online. You can price match at the regular register. Office Depot: Excludes free product offers, special orders, services, Internet purchases, liquidation, ad errors, clearance, refurbished and close out items. Here is their Low Price Guarantee. Office Max: You must must complete a Price Match Request. Staples: Just show the lower price when you buy the item at Staples and they will match the price, or within 14 days of your Staples purchase and they will give you the difference. Check out all the details here. Sears: They have a Price Match Plus Policy so if you find a lower price on an identical branded item with the same features (in Home Electronics identical brand and model number) currently available for sale at another local competitor retail store, Sears will match that price plus, give you 10% of the difference. Kohl’s: Bring in the ad and they’ll match the price (according to the FAQ on their website). This applies to in-store prices and products only, not to Kohls.com pricing or products. Best Buy: Simply bring in the ad of the local retail competitor while the lower price is in effect and receive your price match. Here is their online policy. Target: They now have the Low Price Promise. Just bring in the competitor ad to customer service. 19) Say "No" to Pre-packaged School Supply Kits. Avoid using the pre-packaged school supplies that some districts offer. These are convenient come the fall, but cost significantly more than if you purchase yourself. 20) Join Reward Programs. Especially the ones at Office Depot, Office Max and Staples. This is especially true if you have more than one child because the savings add up. Sometimes, you’ll gain access to hard to find coupons if you’re a signed up for their program, too. 21) Keep it Simple. Students will lose fancy markers, planners, binders, etc. These fancy items cost money. Save the money for something they can keep at home and you don’t have to worry about having money down the drain. 22) Only Buy What You Can. If money is tight just buy the minimal amount your child(ren) needs now. While there are tons of great sales now, there will also be a fair amount once the kids return to school as stores want to get rid of their inventory and by this time your child will see what others have and you can determine what is a necessity. 23) Make Your Own Book Covers. Use the brown bags from your grocery store and recycle them. Cut them and lay flat like wrapping paper and cover with the brown side out. The paper is super sturdy and will last. Your kids will be able to draw and design on the outside to their hearts content, allowing them to show their creative side. 24) Shop The Dollar Stores. While products may not be the top of the line, they're certainly good enough to help your children throughout the year. Some Dollar Stores are great, and others are not so much. Search your area and see where the best ones are, and stick to them. The inventory changes, but you can score big savings when the other stores have stopped caring about Back to School. 25) Stack Sales, Coupons and Rebates. We’ve mentioned this before, but it’s worth driving home the point, you’ll save more money if you stack a sale price with coupons, rebates and/or store incentives. Don’t forget, if a retailer offers store coupons, you can also use a manufacturer coupon on the same item. Every Thursday we publish our Retail Round Up, which is a list of available printable store coupons. Also make sure to check out a retailer’s website to see if they offer coupons. For example, Target has a number of store coupons on their site. We’ll also post Back-to-School manufacturer coupons as they become available. Ask other families from your school if they have any left over items to sell or trade. Search on Craigslist for great deals. Also shop at Consignment Sales and Stores. There are great deals to be had. Check outConsignmentMommies.com for a list of local sales. Watch for sales and stack those sales with store coupons, manufacturer coupons, rebates and/or store incentives. Shop end of season clearance sales and stock up for later in the year or for next year. 27) Re-Purpose Clothes. Are there any clothes you could re-purpose? One year, I cut off old jeans and made them into shorts for one my boys. For girls, you could transform a short pair of jeans into capris by adding some cute fabric to the hem either by sewing or using fabric adhesive. 28) Stock Up For Next Year. Think ahead and take advantage of Rock Bottom prices or even items you can get for Free. You know your kids will need notebooks, folders, pens, pencils, erasers, etc… in the next school year. If you’re able to do so, stock up now to save money later. 29) Pay It Forward. There are so many children who start school without the proper School Supplies. If you’re able to get items for Free or at Rock Bottom Prices, then by all means Pay It Forward. Contact your local Chamber of Commerce, Church or contact the School District directly to see what organizations accept donations. Once school starts, ask your child’s teacher what supplies she might still need in the classroom. Get the kids involved, as well. What a valuable lesson to teach them to be grateful for what they have and compassion for those that don’t.